Coolant - Antifreeze There are 2 products. 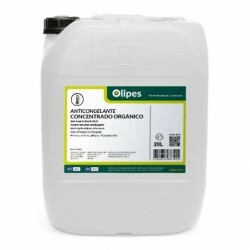 Refrigerante Orgánico Concentrado is a Concentrated coolant‐antifreeze, prepared for usage by diluting with demineralized water with a maximum recommended concentration of 60% of product and minimum of 40%. 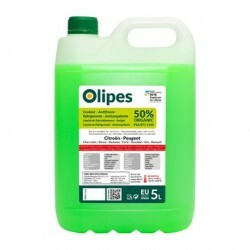 Anticongelante 50% Organic is an antifreeze-coolant liquid for direct use. Its low-impact, highly biodegradable OAT technology protects the vehicle's refrigeration system.